From Hunting and Fishing in Marlborough – A history of the Marlborough Acclimatisation Society and a guide for present day sportsmen; pages 9, 10. Originally published 1980. Scans of the pages are at the bottom of this article. This article shows the text from the original that relates to fishing, with some editing to help with flow. 1880 saw reports of good sized trout in rivers such as at Taylor's Pass and the Waihopai and one was estimated to weigh 5 pounds. The Annual Meeting of 1881 reported that "all the principal streams and headwaters" had been stocked with brown trout procured from Otago and Nelson. Salmon from Tasmania were procured and liberated also. Confusion seems to have been evident as to the exact nature of the fish and the Society "was unable to say whether these fish are the English salmon or sea trout." "We have now in the rivers of Marlborough, American salmon, English salmon or sea trout and brown trout." The Annual General Meeting of 1882 reported that a shipment of salmon from England had perished and was "an utter failure". Finances of the Society were "in a fairly healthy position". The 1883 Annual Meeting reported starlings had increased and trout liberation had continued with private individuals also releasing fish. Rivers such as the Flaxbourne and Mahakipawa received trout, although today they are unsuitable for trout. There was a certain amount of criticism on the fisheries management work by the Acclimatisation Society but in the Marlborough Express of January 30th, 1884, a "magnificent trout" weighing 10.25 pounds was reported as being captured in Spring Creek. The "New Zealand Gazette" of November 4th, 1884 stipulated the conditions for trout fishing in Marlborough. The licence fee was ten shillings and the season ran from 15th October to 31st March. Marlborough's trout were undoubtedly thriving. A 12 pound brown trout was captured in 1885 from Spring Creek by Mr E. Paul. "Trout of fine size and condition" were reported in tributaries of the Wairau River. Five trout fishing licences were taken out in 1885. The 1885 Annual General Meeting reported that "the Society has taken no active steps in the introduction of either game or fish." Obviously it was considered both fish and game were well established. "Brown trout, salmo fario" were "considered thoroughly established in the Counties of Marlborough and the Sounds, by a judicious system of netting spawning fish and once more utilising the hatching boxes at the Messrs Redwoods' weir on Spring Creek." 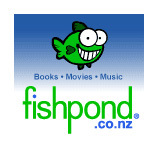 The Waitohi Stream at Picton was reported as giving "good fishing". 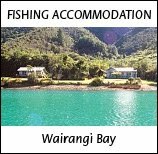 The Society's secretary reported that in an hour he had killed half a dozen good trout from the Waitohi. Good sized trout up to 11 pounds in weight were reported as being taken. The committee regretted that "no trace of a salmon, whether salar or quinnat, liberated prior to 1878 and in 1880, has been seen." In 1886, dry weather was reported to be killing trout in the Waitohi Stream. However, an inspection of the stream by Society staff showed it to be "abounding with trout of all sizes from a couple of pound fish down to small, fry-like minnows". The Waitohi Stream was described as "now one of the best streams in the colony." In 1886, 3,000 young salmon were liberated in the Pelorus "without the loss of a single fish". In December, 1886, the Marlborough Express reported that "Mr Clouston caught this morning in the Opawa at St. Andrews, an enormous Californian trout, the largest ever taken in Marlborough and probably one of the biggest yet caught in the Colony." The trout weighed 24.5 pounds and was 35 inches in length. Poaching was becoming common and the 1887 Annual General Meeting expressed concern at "those unprincipled individuals who make a practice of taking fish and game out of season". The Nelson Society had successfully liberated young salmon in the Tinline Stream, a tributary of the Pelorus River. In 1888, pheasants were reported as still scarce and nothing had been seen of the young salmon liberated in the Pelorus River. Brown trout and Loch Leven fry were imported in 1889. More evidence of the successful establishment of trout was seen by the capture of a 14 pound brown trout from the Opawa River. It was reason for celebration, for several Acclimatisation Society and press representatives met at the Criterion Hotel to consume the monster, which was served in "capital style with a delicious salad and a bottle of choice sauterne." The meal was described as reminiscent of "the balmiest days of the Roman Empire." Depression times made finances difficult but the Society managed to import brown trout, Loch Leven trout and American brook char for release. The brook trout were liberated in the Waitohi, Avondale, Branch Creek, Omaka, Spring Creek, Okaramio and other streams. Big trout continued to be caught. A net fisherman at the Wairau Bar caught two large trout of 21 and 26.75 pounds. They were described as "brown trout, salmo fario". The Waitohi Stream at Picton continued to draw praise as a fine trout stream. Page 9 of Hunting and Fishing in Marlborough – A history of the Marlborough Acclimatisation Society and a guide for present day sportsmen. Page 10 of Hunting and Fishing in Marlborough – A history of the Marlborough Acclimatisation Society and a guide for present day sportsmen.